Andrew Yool is a research scientist in the Marine Systems Modelling (MSM) group at NOC, Southampton. His research focuses on the role of plankton ecosystems in marine biogeochemical cycles, and he has extensive experience in modelling the ocean’s elemental cycles across a range of physical frameworks (Yool & Tyrrell, 2005; Yool et al., 2007; Yool et a., 2011), from global to regional scales (Yool et al., 2013b; Yool et al., 2015), and for future climate change and geoengineering scenarios (Yool et al., 2009; Oschlies et al., 2010; Yool et al., 2013a). 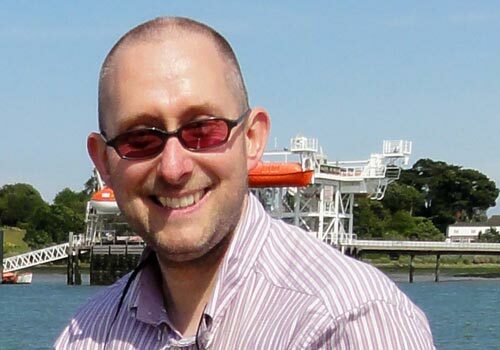 Currently, his work includes development of the marine biogeochemistry model MEDUSA (Yool et al., 2013a; Kwiatkowski et al., 2014) within the joint NERC-UKMO earth system model, UKESM1, the UK contribution to the next IPCC assessment report. He has published more than 40 papers on a range of marine biogeochemistry topics, and has previously been a participant in a number of projects that have addressed physical and biogeochemical impacts of human-driven change. He served as a member of the Programme Advisory Group (PAG) of NERC’s Ocean Acidification Research Programme and is a Topic Editor of Geoscientific Model Development.